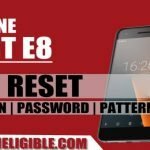 Are you still in search of working method Bypass FRP Vodafone Smart Platinum 7 VFD 900, don’t worry we’ve easy and best working method for google frp bypass, but make sure your vodafone device has android 6 version, after that you can easily accomplish this method to bypass google account from your Vodafone device. -Connect “Wi-Fi” to your Vodafone device. -Go back to very fist “Welcome Screen” by tapping on back key. -Tap on yellow “Next” arrow button. -After that tap on “Skip”. -Once you get the screen “Checking Connection…”, just tap on “Back Arrow” from there. -Now you will have “Select Wi-Fi” screen. -Tap on “Add another network”, and then type “Techeligible”. -Long tap on your typed text, and you will get some option same like this (Cut, Copy, Share), just tap on “3 dots” from there & select “ASSIST”. -You will be redirected to the “Google App”. -Type in search box “Chrome”, and open “Chrome Browser”. 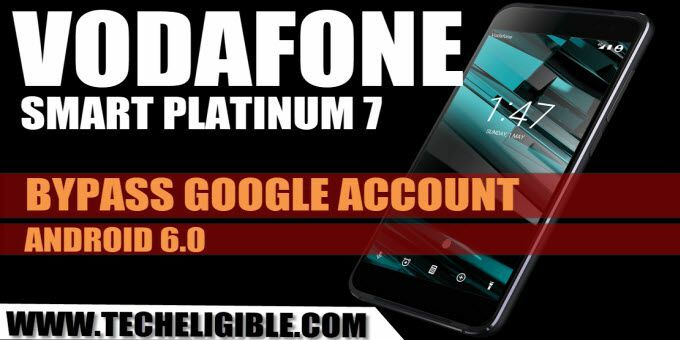 -We have to download from frp apk tools to to Bypass FRP Vodafone Smart Platinum 7. -Visit first search result from google same as shown in below image. -Go down, and download from there below 2 apk apps. -Once downloading finish, you will get bottom popup, just tap on “Open” from there. 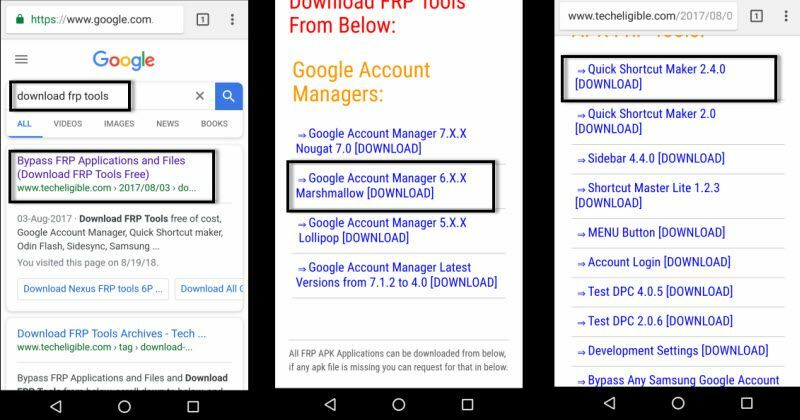 -You will be redirected to the download folder, where you will be able to see your both download frp apk apps. 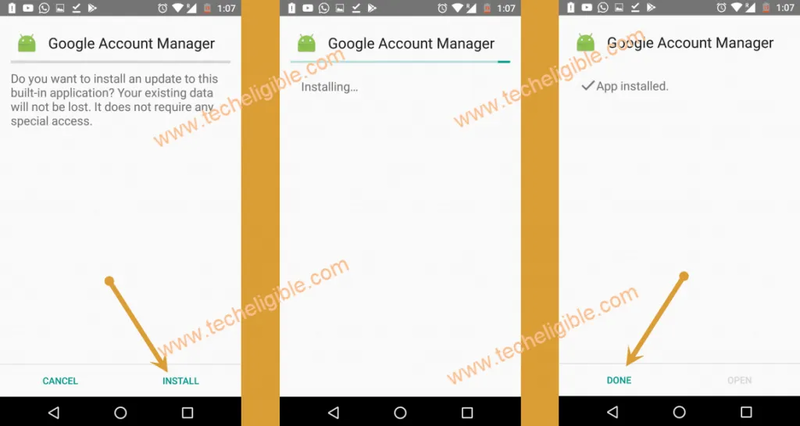 -Tap on “Google Account Manager”, and after that you will see “Installation Blocked” popup window, just tap on “Settings” from that popup window. -Now enable “Unknown Sources” from there. -Go back, and tap on “Google Account Manager’, and then tap on “Install”, after that tap on “Done”. -Now we need to install 2nd frp apk app to Bypass FRP Vodafone Smart Platinum 7. 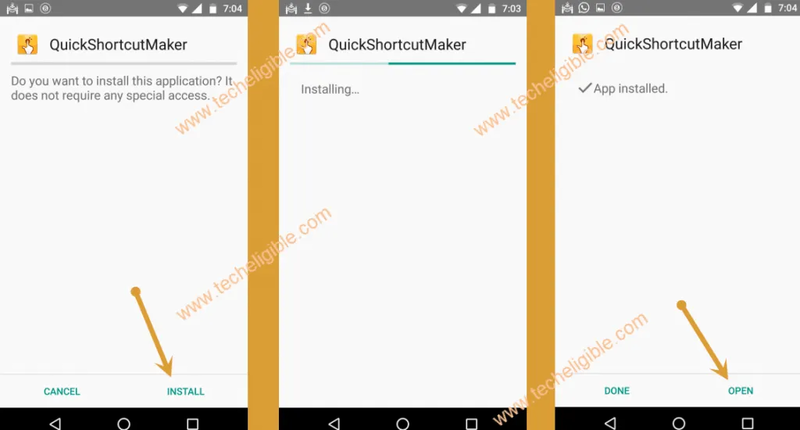 -Tap on “Quick Shortcut Maker“, and then tap on “Install”, after that tap on “Open”. -Go down, and tap on “Google Account Manager” to expand it, and then select “Google Account Manager” that appears with “type email & password”. 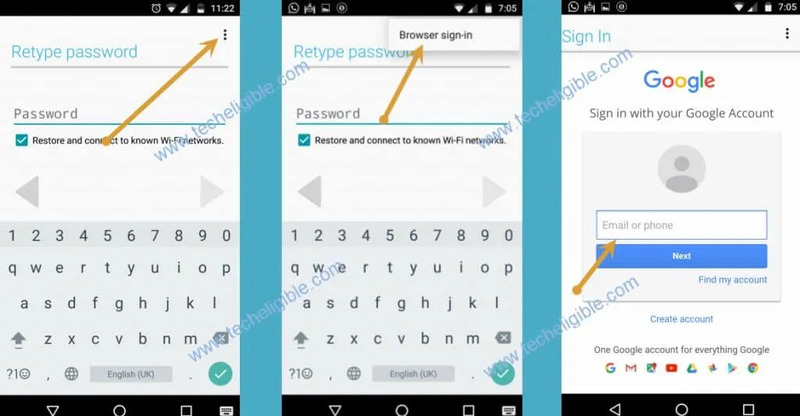 -Now you will have a screen of “Retype Password”, just tap on “3 dots” from top right corner & select “Browser Sign-in”. -Enter your any valid Gmail Account to sign. 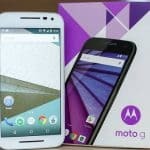 -Once you signed in successfully, that means you are done to Bypass FRP Vodafone Smart Platinum 7. -Long press (Power Key), and tap on “Restart” to restart your device. -After that, complete initial setup in your Vodafone device to access HOME SCREEN.